Nobody wants to believe the worst . . .
of any situation. 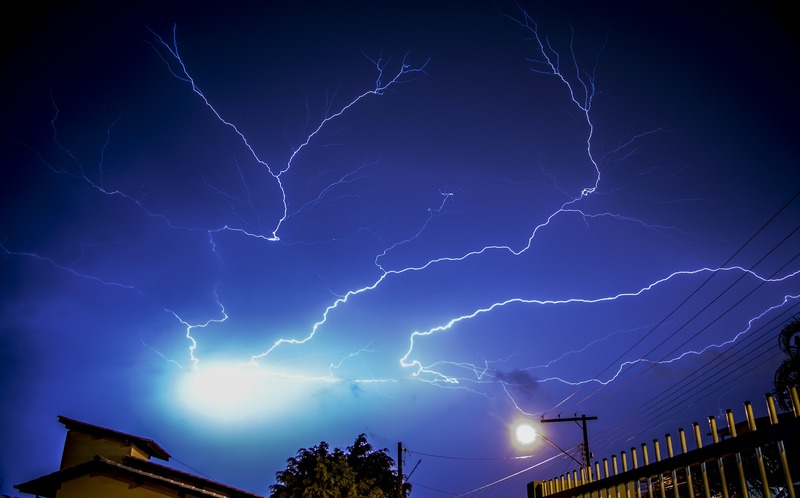 Think in terms of dangerous weather phenomenon. The warnings go out. Sirens blast. News reports are issued. Every opportunity presented has been employed to let the populous know that something serious is about to happen and people need to get out of the way and try to avoid it by any means necessary. Alas, hope that this or that will not come to pass can almost keep one in a state of denial, refusing the facts; refusing the evidence presented before them; refusing the warnings. This analogy can give us peer through of how this can affect us in the physical. But, what about when spiritual warnings go unheeded. Reading in the book of Jeremiah this morning, around the 27-29th chapters, and we see where God used Jeremiah as his mouthpiece. There was impending devastation headed the people’s way. Because of their sin and rebellion against God, God was sending His people into captivity and people just didn’t want to believe it. They didn’t want to believe that worst thing possible was about to come upon them and they simply refused there would be retribution by the hand of God for all their wrongs. False prophets even went so far as to come up with fanciful ideas to combat the true word of God convincing the people they would not be captivity for the prescribed seventy years as Jeremiah predicted as a directive from God. If you read your Bible history you will see that everything played out according to His holy word; nothing failed of all that He said He would bring to pass. If I may, there is an even a more dangerous situation than this. Warnings have been blared and people have been urged to take shelter in Jesus Christ. Why? Because eternity is real and where we spend eternity is real. The Bible tells us God is “not willing that any should perish, but that all should come to repentance,” (2 Peter 3:9). I have said this before and I’ll say it again, God is your biggest advocate. He wants you to make it to heaven more than anybody else you could ever think of. He wants to see you in glory. He wants to bless you with all the spiritual riches laid up for you in eternity. God wants us where He is that He might enjoy that long awaited uninterrupted fellowship He has been desiring. Although God has been patient with us tomorrow is never promised. If you don’t know Jesus Christ as your Savior today I urge you to take shelter in Him for there is a far greater and more dangerous storm coming. It speaks of eternal devastation in hell. Hell is real and Jesus spoke of it often (see Matthew 10:28; 13:42; 25:41 and Luke 16:24, just to name a few). The false prophets of Jeremiah’s day tried to speak against the reality of God’s word coming to pass. It didn’t work then and it won’t work today. They tried to talk people out of where God designed for them to be in that season of their life. Where God want us to be in the season of eternity is in heaven with Him. Don’t let anybody talk you out of it. Heed the warnings. Listen to the spiritual sirens. Find shelter in Jesus Christ today. Let your eternal future be found in Him. Oh, that thorn in the flesh syndrome. That persistent thing that seems like it will never be removed from your life. I would venture to say that most people have dealt with or are currently dealing with that one nagging thing that keeps . . . well, nagging you! That one thing that causes us to say, “Lord, if You would just move this one thing from my life, I would be alright.” Thorns are hurtful. They are irritating. And, they get in the way of the one who wants to enjoy the blossom. There is a beautiful rose on the end of the stem, but the thorns hinder the enjoyment, making it hard for one to really take in the beauty thereof up close and personal. Oftentimes, when one is trying to enjoy the beauty of God’s promises, hurtful things arise. As one tries to draw nearer and nearer to Him, the thorns make it hard to hold on. The thorns “spring up and choke them,” Matthew 13:7. They choke out the way. Nevertheless, despite what our outside circumstances may be telling us, we are taught that we can still live the empowered life. Though we have “infirmities” (and we all do), “grace” is still at work. 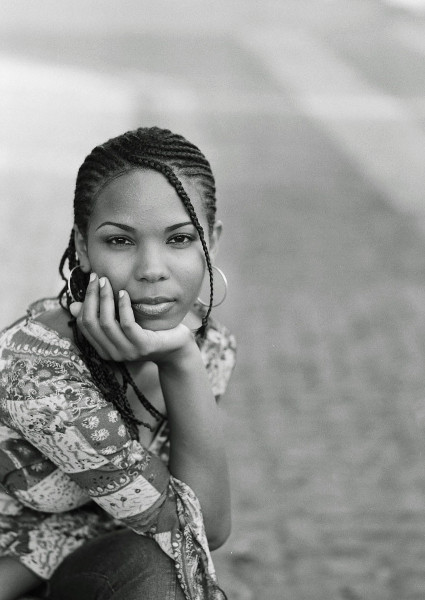 Grace – that unmerited favor, makes room when our own obstacles get in the way. And God says it is “sufficient.” It is enough. There is only one man who lived in this world perfectly and that’s our Lord Jesus Christ. The rest of us are surviving off of God’s grace. We depend on it every day though we are undeserving of it. He has empowered us through our Lord Jesus Christ to progress on this journey despite all of our shortcomings. Every obstacle that we face in life is not going to be moved. Oh, how I wish it would be. (Don’t judge me! You know you wish every obstacle you face would be moved, too.) But, what the apostle Paul is teaching us is that we can still succeed in Christ. We can still have a blessed Christian life through His power that “rest upon” us. Have you ever played tag as a kid? Somebody tried to tag you and get you out, but you gave them the slip and got away. Have you ever in a victorious romp stuck your thumbs in your ears, while waving your fingers and chanting, “Na, Na, Na, boo, boo?” Paul had a victorious romp of his own. After he prayed and realized despite all he was going through the grace of God was still at work in his life – and, that God’s strength was being made perfect in Paul’s weakness, Paul declared, “Most gladly therefore will I rather glory in my infirmities.” Paul was saying, tag me if you will, but God was working it out for him! Don’t you love that? Despite it all God is still at work in us and through us. He is perfecting some stuff and we can rejoice with Paul. (Just don’t do the chanting, you are too old for that – tee, hee.) We are not rejoicing because of trouble or hurt, or anything like that. We are rejoicing because we believe in God’s grace, and that allows the power of Christ to rest upon us because we have yielded to Him. 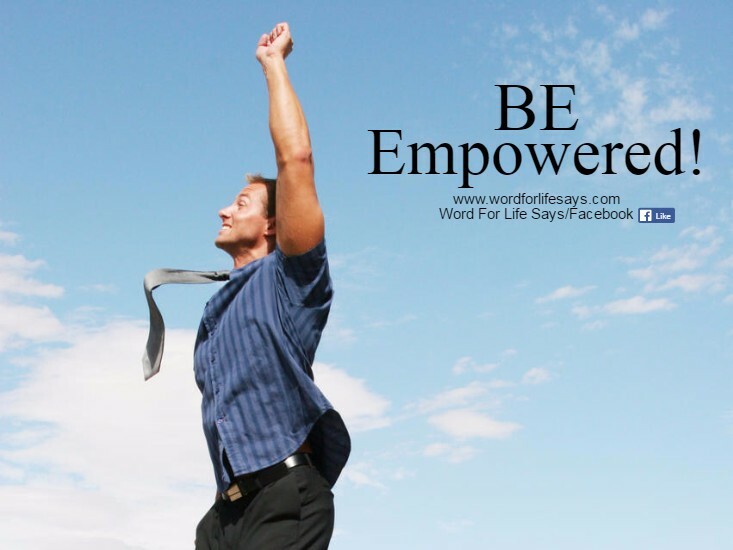 Talking about empowerment can very easily cause one to divert and take a humanistic view. But, I’ve really strived to keep this God-centered. Everything we need is in Him and when we can really grasp hold of that, then are we truly empowered. There is so much hurt and disappointment in the world today. So many people’s hearts are crying out for relief. These verses were laid heavily on my heart to send out as a spiritual S.O.S. to someone somewhere. I have clung to these in my own times of personal trial and I hope they help you also. Listen to the Mark Schultz’s video below and be encouraged that God Almighty, no matter what you are going through today, is holding you in the palm of His hands! “You are My servant, I have chosen you and have not cast you away: Fear not, for I am with you; Be not dismayed, for I am your God. I will strengthen you, Yes, I will help you, I will uphold you with My righteous right hand. Behold, all those who were incensed against you shall be ashamed and disgraced; They shall be as nothing, And those who strive with you shall perish. You shall seek them and not find them – Those who contended with you. Those who war against you shall be as nothing, As a nonexistent thing. For I, the Lord your God, will hold your right hand, Saying to you, Fear not, I will help you,” (Isaiah 41:9b-13, NKJV). GOD IS HOLDING YOU TODAY! Words make a difference . . . There is so much power bound up in the way we talk. 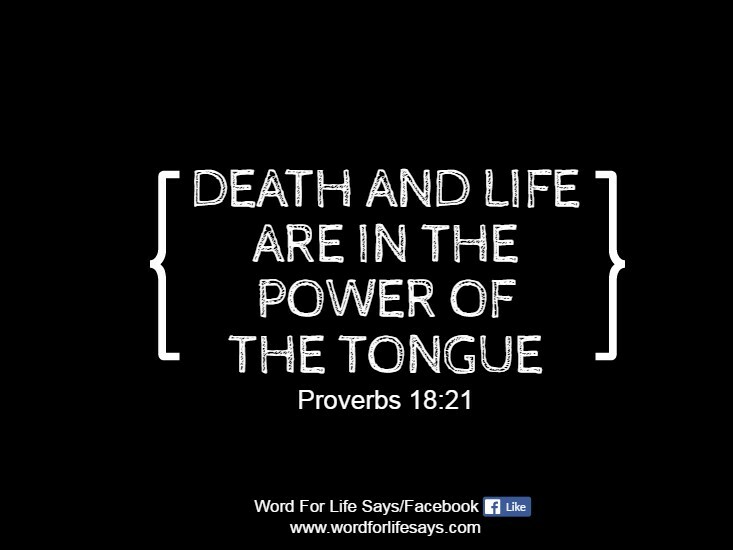 Proverbs 18:21 tells us, “Death and life are in the power of the tongue: and they that love it shall eat the fruit thereof.” Whatever is produced from our lips generates fruit. Stuff grows, for the good or the bad, off of what we say. 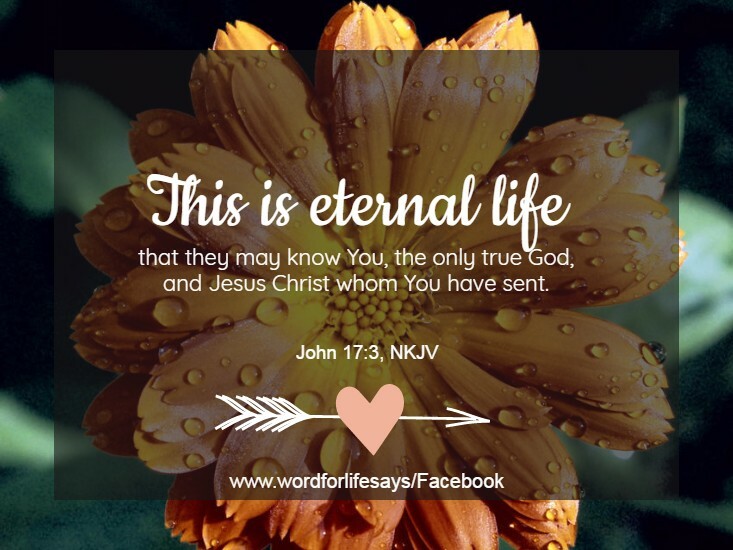 Words to Live By – “Our eternal life is bound up in knowing Him for ourselves. What we put into our body matters. The foods we eat can either help or hinder our health. Sometimes, in our house, we stop at fast food restaurants to eat, but it is not an everyday occurrence. I value what goes in my body. Is every food choice the best choice? No, but I try to make it a point to have the majority of what I eat to be of nutritional value; to be something that will build me up and not tear me down. Our spiritual lives work in the same manner. We are what we eat, spiritually. If all that we ever digest is the negatives of this world then we are robbing our spirit of the vital nutrients that can increase our awareness and spiritual health. The Bible says, “Faith comes by hearing, and hearing by the word of God,” (Rom. 10:17). What we assimilate in our being is what will be produced in our spirit and in our lives. God’s word has everything we need. A daily diet of letting Him speak to us through His word, through His preachers and teachers will enrich our spiritual lives and make us stronger in Him. When adversity and the storms of life arise His word that has already been deeply instilled in us pops into action and carries us through to the other side. We need God’s word every day. We need it to grow. We need it to learn. We need it to increase our faith. We will never be the healthy Christian that we need to be if we leave the word of God out of our daily routines. God’s word will build you up and make you stronger in Him. Many are diligent about their natural health but watch what you eat spiritually. It can make the difference between spiritual health and spiritual sickness. IF has been around since the beginning of humanity. IF usually comes with choice, consequence, and question. But, what if IF can be a statement of faith? What if IF can be a declaration of what you believe God can do in your life. One of my favorite IF questions in the Bible led to a miracle occurring and the constraints of what is normally not possible being removed. IF unlocks the amazing in one man’s life, never to be repeated by another human being except for Jesus Christ. Tossed about in the waves of contrary winds, Jesus’ disciples are struggling in a boat in the middle of the sea when Jesus came to them walking on the water (see Matthew 14:22-33). After Jesus greeted the men in the boat and calmed them, Peter asked, “Lord, if it be thou, bid me come unto thee on the water,” (Matthew 14:28; italics added mine). I believe Peter knew wholeheartedly it was Jesus since some Bible studies use the word IF as SINCE. Thus, I believe Peter’s IF is a statement of faith, even if it appeared to be an immature faith at the onset. He believed in Jesus. He believed if Jesus allowed him to he would be able to do what is naturally impossible. He, under the direction of the Lord, could do the amazing and walk on water. Now, many of us are very familiar with how Peter’s story here ends. Seeing the waves his faith falters and Jesus is there to pull him up from his sinking condition and bring him back to the boat. Yet, that isn’t the part I want to focus on here. I want to focus on the power of the IF that drew him out of the boat in the first place, where other men stayed hidden, to literally throw it all to the wind with the chance to experience the amazing. We can laugh at Peter and put him down, but how many of us can honestly answer that we would have gotten out of the boat also? You see IF can be a hindrance causing over questioning and actually act as a stumbling block for not moving forward into something wonderful. But, IF can also be the catalyst to open a door of opportunity if it is approached with the idea that something amazing can come out of taking a chance with Jesus; to move on to the waters of the unknown with my eyes on Him. The phrase “What if?” has birthed a lot of good quotes and with good reason. In that two-worded question, we are daring to ask ourselves the question: “Do I stay in the boat or do I choose to walk on water?” We are daring to see potential in ourselves to do more than the ordinary; to do something amazing with my IF. Where is your IF calling you today or even this week? What extraordinary thing may unlock for you if you take a chance with your IF? I believe God gives us dreams to pursue, but it’s our faith in active pursuit of that IF that will allow the amazing happen for us, just like it did for Peter. Jesus most certainly could have gotten to the boat without walking on water, but then Peter, or any one of the disciples, would have never had the opportunity to ask and pursue something more. Is Jesus calling you to walk on water? Is He calling you to take steps of faith in pursuit of a particular IF? If He is, keep your eyes on Him and allow Him to lead you to your amazing IF. 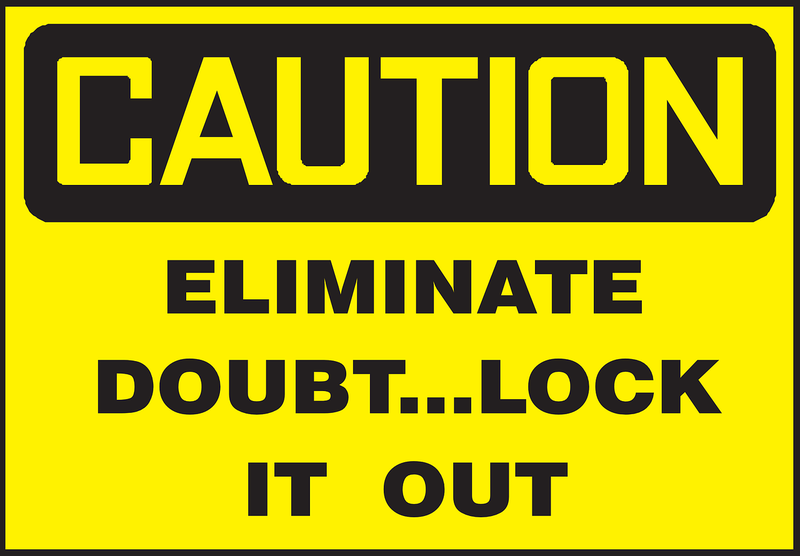 One of our most famous struggles in life is with doubt. We have faith in and for others. We believe God to the fullest. Yet, doubt seeks to rob us in another area. It’s when we allow thoughts of inferiority to enter our space. It’s when we let the insecurity we experience on the inside come to the surface and convince us we are not enough. We know that God is good. And, we know He is awesome in everything He does. But, when it comes to convincing ourselves of what He can do in and through us we have a hard time accepting that truth in our lives because something or someone has caused us to believe we don’t measure up; we don’t have what it takes to adequately pursue what God has placed on the inside of us. One Bible verse that has recently helped me overcome that low-level thinking; thinking that keeps your hopes and dreams submerged in the sea of doubt is this: “Being confident of this very thing, that he which hath begun a good work in you will perform it until the day of Jesus Christ,” (Philippians 1:6). Meaning God will finish what He started in you and He will keep on working on you until that day of Jesus Christ. A lot of us, as the young people today say, feel some type of way about where they are in life right now. They are viewing their lives through the lens of the journey rather than the destination. All that God wants to do through us and for us will always be a continuing and evolving work. We as long as we are on the face of this earth can never say that we have arrived. We will never fully meet our destination point until we are face to face with Jesus. But, already knowing where our destination finishes should give us hope for the journey. Rather, we tend to let the journey disappoint us; we let the journey decide for us what our future will turn out to be like, telling us what we are and what we’re worth. Our journey shouldn’t be a measure of stress or discouragement causing seeds of doubt to be planted about what God has placed in you. Your journey is the process that’s taking you in the direction of your destination. And, I don’t care who’s doing this or that over there or here – God still has His hands on us. God is still working on the behalf of His children. God is still perfecting and performing stuff in our lives. God still has a glorious future up ahead for each one of us if we will just believe, hold on, and wait through the process of His performance in us. So, the truth about self-doubt is this: God is not finished with you yet. Standing at the sink, brushing my teeth, this is what God dropped in my heart with the verse above. Your journey is still moving. Your story is not over. You are not in a race to live in comparison with others. You are a follower of His lead until you become everything He has designed you to be. As long as you are alive and kicking, His purpose in you is alive and kicking. Don’t count yourself out. Another truth about self-doubt is this: it’s not about whether we think we are good enough. It’s about the good He is able to do in us (another God-inspired thought). You are more than what your journey appears to be. You are measured by your destination. You are measured by Jesus Christ inside of you leading to your destination; drawing you to trust Him in everything He is calling you to be. If He has placed something wonderful in you, He will bring it to pass. Just believe and hope in Him. For in Him is where your real self-worth is found. Therefore, since your worth is in Him and He is the one perfecting and performing your process, don’t doubt yourself and what God is able to do in you and through you. You are so much more than the doubt! This morning while dropping my daughter off at school I spotted a rainbow in the sky. There was no rain, no storms; just sun and rainbow with some clouds. 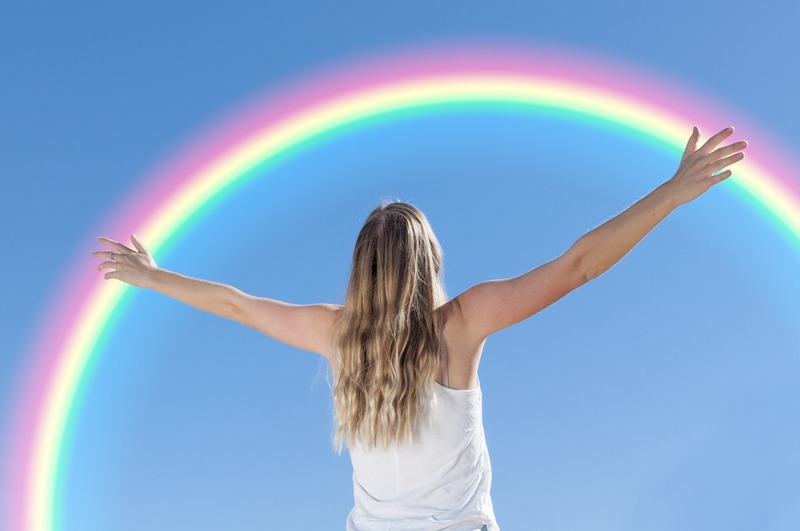 I thought about the symbol of the rainbow standing for God’s promise. It was just a nice thought but it reminded me that no matter what goes on in life if God made you a promise it will come to pass, rain or not. Your circumstances don’t dictate God’s promises. Yes, there will be rainy days and more often than not we have to go through them to reach the promise. Regardless of what it looks like, rain or shine, WHAT GOD HAS FOR YOU IT IS FOR YOU! The world may speak all kinds of ugliness against the promises of God, but I declare today peace and prosperity in what God says will come to pass. Hold on to His promise for you and never let it go. For everything you face today, I urge you to stop and take a breath in the midst of it all and remind yourself of this powerful verse, “Be still, and know that I am God.” Say it over and over again to yourself throughout the day. Let the truth of His Word do the fighting for you.